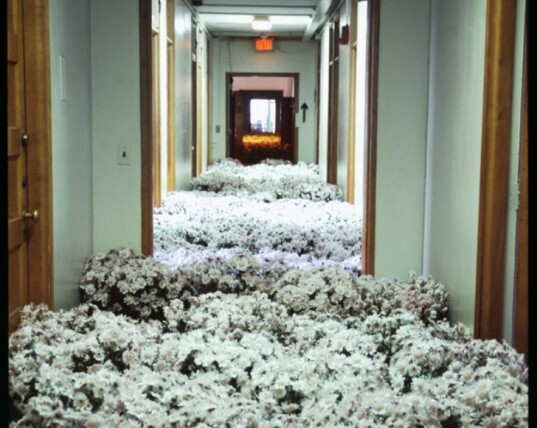 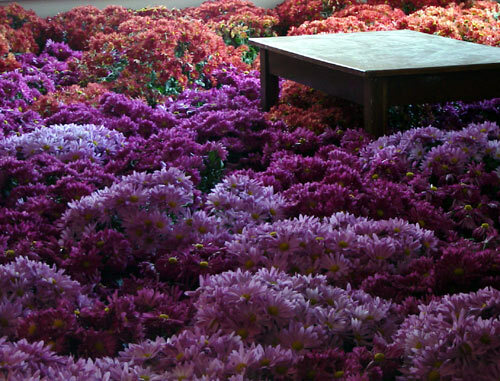 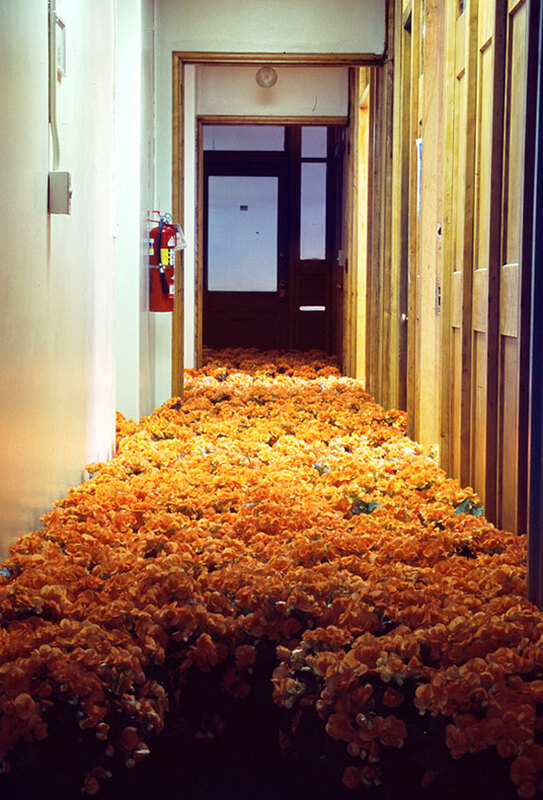 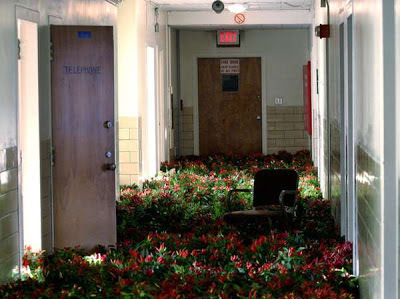 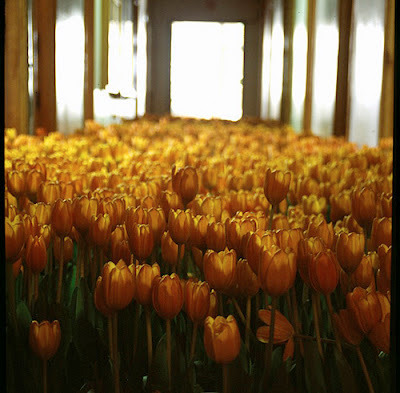 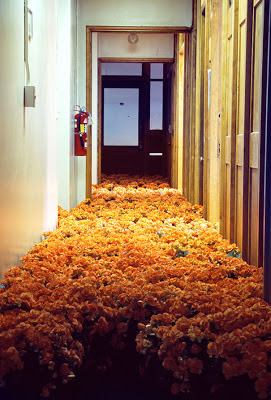 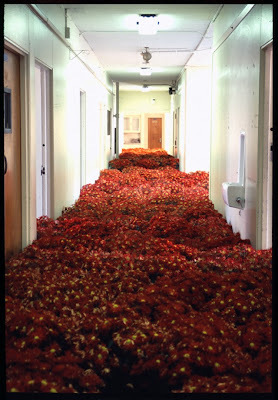 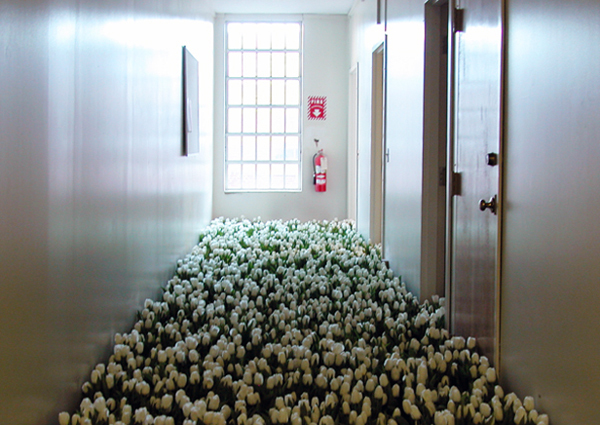 In 2003, artist Anna Schuleit installed a variety of 28,000 potted, blooming flowers in the Massachusettes Mental Health Center to to honor its patients and employees over the 91 years it was in operation. 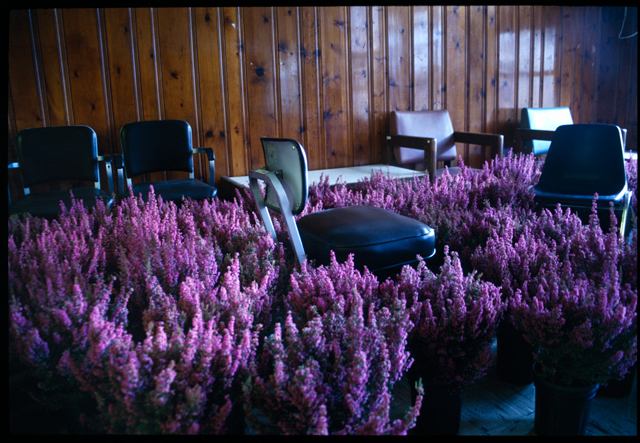 Recorded ambient sounds of the center from the days leading up to its closing were played over the old PA for viewers to listen to. 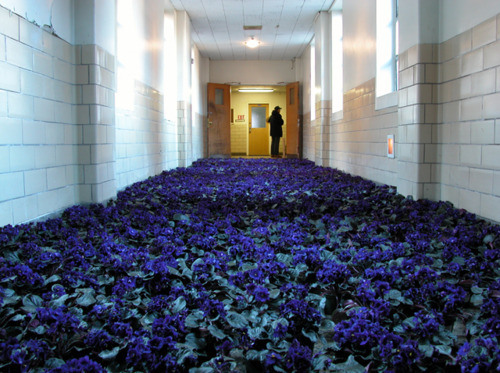 The installation was named, Bloom.